Saaga or leafy vegetables are a rich source of iron and other nutrients. 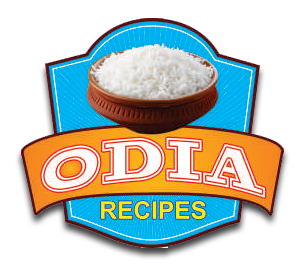 It makes a common appearance on the dining table of most of the Odia homes. You may use the 'Leutia' or 'Kosala' saaga for trying the recipe mentioned below.. Saaga Bhaja is also known as 'Saga Kharada' in some parts of Odisha. Wash the saga leaves thoroughly. Cut them into small pieces. However take care not to cut them into very small piece. Take a little oil in a pan and fry the badi till it becomes golden brown. Then take about a teaspoon oil in the pan and add the mustard seeds. Let it splutter. Then add the garlic cloves and stir till it becomes golden brown. Also add the dry chili. Now put the saga leaves in the pan and stir a little. Then add the fried badi and stir a little further. Remember that a little water was left with the saaga leaves when we earlier washed it with water. So now go on stirring till all the water in the saaga dries out. In the process the saga leaves also get cooked. After a while take out the pan and keep aside. Your Saaga Bhaja is ready. Serve it with plain rice. curry and dal. Also tastes great with Pakhala Bhata (the cooked rice which is soaked in water).